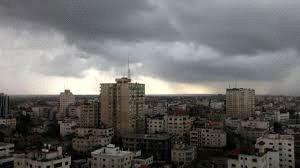 AMMONNEWS - Cold and partly cloudy weather is expected on Monday with a chance for scattered rain in the northern, central and southwesterly parts, the Jordan Meteorological Department (JMD) said in its daily brief. Winds will be westerly to northwesterly moderate to brisk, blowing dust in the southern and eastern regions, the JMD said. Clouds will gradually decrease in the evening, as the weather starts to stabilize, but it will be very cold with frost formation, especially in the southern highlands and the Badia areas. Fog formation is also forecast in the hilly areas, the JMD added. Daytime temperatures expected for today in Amman and in the northern cities will reach 12 degrees Celsius, dropping down to 5 degrees in both cities. The weather will be warmer in the port city of Aqaba with highs reaching 21 degrees Celsius and lows standing at 12 degrees. Mercury levels will rise few degrees on Tuesday creating relatively cold conditions in most parts of the country, while it will be fair in the Jordan Valley and Aqaba with high clouds and southeasterly moderate winds, the department noted. Temperatures on Wednesday is forecast to rise 3-4 degrees above their annual average, but it will remain relatively cold in the mountainous areas and relatively warm in the Jordan valley and Aqaba. Clouds at various altitudes with a chance for scattered showers in the northern and central areas are also forecast, the JMD added. Winds will be easterly to southeasterly moderate to brisk, blowing dust at times mainly in the southern and eastern areas, the JMD further said.